It's Monday and you know what that means. It's time for a new Featured Sassy Friend. Yippee! This week I have the thrill of having Alina Meijer and her gorgeous creations to share with you! I am sure that you are familiar with Alina's amazing work as I had the pleasure of having her as Sassy Cheryl's Design Team member for six months. I first fell in love with Alina's work when she was chosen to be part of the Sassy Cheryl's DT. From the moment I saw her very first card, I was in complete awe! Her coloring is just over the top incredible. I love Alina's work, whether she is using one of my images or not. 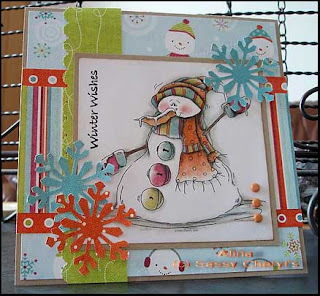 But this card (shown below) that she created using my Flat Bottom Snowy Digi has to be one of my favorite. Isn't it spectacular! I actually love it so much, that I used her colors as the model for my own colored image. Now, let me who show you what Alina has to share with you this week. She used the Let's Get Ready For Christmas Elf Digi to create this amazing card and coordinates. I know that you're going to love them as much as I do. They are simply gorgeous! I was born in Romania, but since 1999, I've lived in the Netherlands. Twelve years ago I fell in love with a Dutchman, got married and now have a beautiful daughter. By profession, I'm a primary school teacher. I work in a school for foreign students and I really enjoy it! 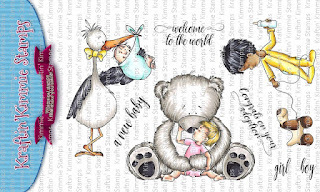 I have three additions: my daughter, nice stamps and beautiful papers. 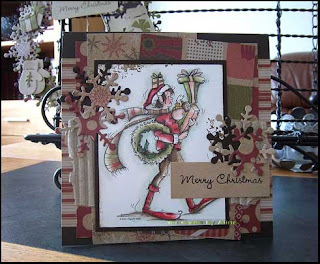 I'm honoured and consider myself fortunate to be featured as a Sassy Friend at Sassy Cheryl's Designs blog. 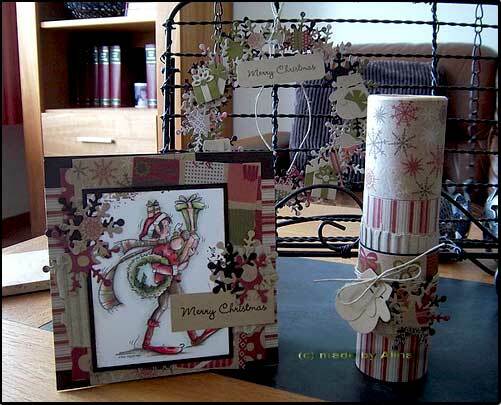 I've used her beautiful stamps for almost a year now and my choice for today was Let's Get Ready Christmas Elf. He is just adorable. 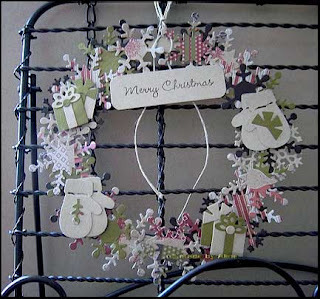 For my projects, I have used "Jillibean Soup" papers (the "Christmas Chestnut Soup" collection). 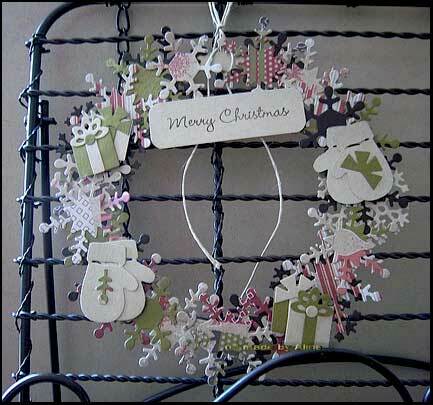 The snowflakes are made with the "Marianne Design's Creatables" and I've decorated the wreath with the small presents and mittens made with QuicKutz dies. This set is a Christmas present, which, in a few weeks, will be on it's way to someone very special. I only have to fill the box with some delicious chocolates. Hugs to all of you. Alina has a beautiful blog, Simcards, that you are certainly going to want to become a follower of. So head on over and check out her amazing work. You certainly will NOT be disappointed! BUT, before you go, leave her some love on her creations as they are well deserved. Be sure to check back next Monday, when I'll have another talented Sassy Friend and her amazing creations to share with you. And if you'd like to be a Featured Sassy Friend, just drop me an email. I'd love to have you. Thank you, Cheryl, as I've already said, I'm honoured! I love your sweet and funny images and Alina makes the most beautiful things with them. Beautiful coloring Alina, love your color choices too. Wow, these are allllll georgeous! That wreath is especially awesome. Congratulations and enjoy your week!! 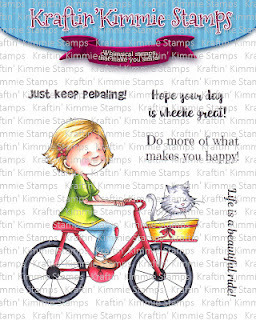 Beautiful Card, visited your Blog. Your work is outstanding! I went through your whole blog! Can't get over your AWESOME talent!!!! Your colouring is so fantastic - you have really given me a new way of looking at it. Thank you, ladies, you've made my day! oh Alina! *waving* congrats and so good to see you again! you know I LOVE your style, coloring and cardmaking!! Hi, Alina! So thrilled to see your incredible work featured here! I have always LOVED your work-stunning! Alina, it is so good to see you featured back on Cheryl's Blog. I have been a fan of your style since I first saw one of your cards. Congratulations on being featured this week. It is such a treat for my eyes! Absolutely a great choice Cheryl. I really love Alina's blog and all her work! Ik ben je fan Alina! wow, all your images are just amazing! You've performed an impressive process and our entire neighborhood can be thankful to you. Hi everyone, it's my first go to see at this web site, and piece of writing is truly fruitful for me, keep up posting these articles or reviews. In any case I'll be subscribing for your feed and I hope you write again soon! Hi there to every body, it's my first visit of this blog; this web site contains remarkable and genuinely good stuff in support of visitors.